I am getting ready to launch a weekly commentary/investing/trading service. The stock market is now more overvalued than at any time in history, especially when reported earnings are re-adjusted to peel away all of the non-cash fluff companies are now permitted pile into their GAAP and “Non GAAP” numbers. It’s become a complete joke. But this “legal” fraud has created an unprecedented opportunity to benefit from the eventual stock market collapse and make a lot of money from all the overvalued stocks that litter the stock market. In addition, the precious metals sector – thanks to the extreme degree of Central Bank intervention – has become one of the best fundamental value/contrarian opportunities that we’ll see in our lifetime. The mining stocks have never in the history of the stock market been cheaper in relation to the price of gold/silver. There’s a literal sunken treasure trove of junior mining companies with highly economical gold/silver deposits and the ability to survive the downturn. When this turns, these companies will take off the way the internet stocks took off in the late 1990s. 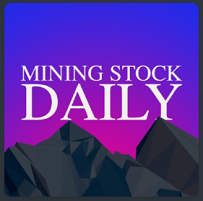 My newsletter will focus on short-sell ideas in the areas of the market that I believe are the most highly overvalued, like housing, retail and financial services and on the mining sector. The reports will include a brief summary thesis on the stock ideas presented. It will also include chart analysis, trading suggestions and suggested options strategies. The newsletter will be an abbreviated version of my full-blown research reports. You can access an example of what will be produced on a weekly here: Short Seller’s Journal – Retail. The stock is priced for perfection; Aggressive debt issuance to finance share repurchases and dividends; A stock valuation far in excess of industry peers; Heavy insider selling…One of the likely big drivers pushing LB’s stock price higher is the company’s aggressive share buyback program. The primary source of funds being used for this is debt issuance. Ultimately, in the event that LB’s stock “re-aligns” with the valuation levels of its peers and with the S&P 500/XRT, I believe LB’s stock could potentially be cut in half from its November 27 close of $96.68. Was Black Friday A Bust? SunTrust retail analysts are already declaring Black Friday to be a bust. Of course, our first clue this was coming was when the “Black Friday” sales events started two Mondays ago. Anecdotally, I did some “boots on the ground” due diligence today (Black Friday) and found the stores to be eerily quiet. And Denver is considered to have one of the healthier regional economies. The bottom line is that the consumer is tapped out. Obamacare premium rate hikes are starting to show up in mailboxes and that should really put a damper on holiday spending plans. This stock still has plenty of downside left, as it sells into the middle/lower-middle income demographic, which has been particularly squeezed since the 2008 financial crisis. I think this stock could easily drop 12-15% if it reports an earnings miss next Thursday. 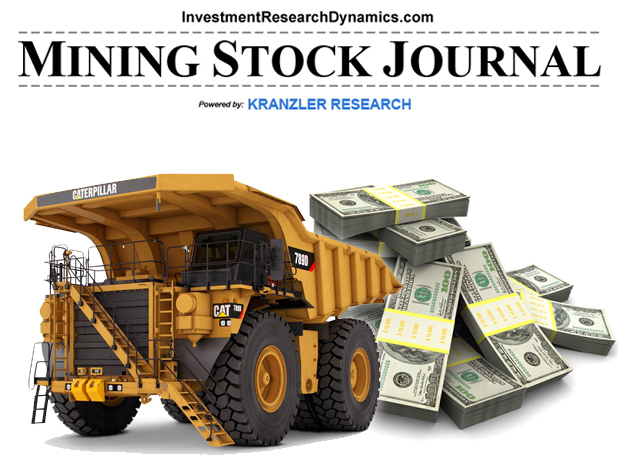 You can access my report on these two stocks here: Short Seller’s Journal – Retail Stocks This is a new 2-page per stock idea format, with an overview of each company, reasons why I think the companies will miss earnings and why they make excellent risk/return short term trades or longer term short positions. 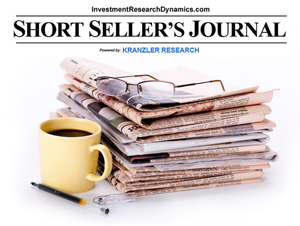 Note: In response to high number of inquires, I will soon be introducing the Short Sellers Journal newsletter service. In conjunction with this, I’m adding a new report format to my research report offerings. The new format will feature a much shorter, summary format. It will combine some fundamental analysis with chart/technical analysis and trade idea summaries. All ideas will include suggestions for using options if the stocks have somewhat liquid options available for trading. 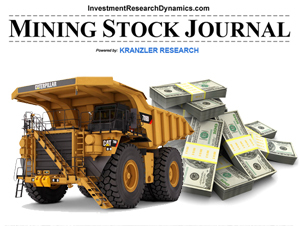 My debut report feature two retail stocks that I believe could gap down when they report earnings. One company reports this Tuesday (November 24) and one reports on December 3. Both stocks have not sold off recently with the sector and both are excellent longer term short sale plays to take advantage of the high likelihood that retail sales are going to disappoint expectations over the holidays and next year. Let’s face it, the consumer is largely tapped out and overburdened by debt. One company caters to the middle/lower middle income demographic and its sales have been flat for three years. The second company caters to the teen-mid-20’s demographic and has seen declining sales and operating income. Although several large retails who have reported recently have experienced “cliff-dives” in their stock price after missing or barely making their earnings and revenue numbers, the RTH and XRT ETFs have yet to reflect the earnings recession invading the retail sector – the pic to the left shows what happened to Best Buy when it reported last week, for instance. This means there’s some stocks that have “cliff-dive” earnings events coming.